We are admonished and encouraged to be ourselves. Yet, a strange thing happens when we get involved in relationships. What was considered attractive, becomes unattractive. Where there were once praises, there are expletives. Those things which were adored, now are despised. Suddenly, you are no longer able to be yourself, because being “yourself” is unacceptable. You sit back and try to analyze where things went wrong and how you got to this point? Why you feel less than adequate? Where you don’t quite measure up. Believe me, I know exactly where you are at and how you feel. You are not alone. I’m here to tell you there is nothing wrong with you. You are fine just the way you are. Despite what anyone else around you says or thinks. Think about it a minute…, what gives anyone the right to judge, criticize or put you down? No one has the right to be allowed to make you feel like you are not good enough or don’t measure up. Who are they? 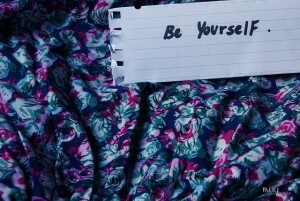 You shouldn’t have to feel stigmatized for being who you are, and who God created you to be. You shouldn’t have to feel “less than” or “inadequate” based on someone else’s opinion of you. No one reserves the right to put you down or make you feel like there is something wrong with you. This is something I have been battling for years. I have been subjected to people wanting to change me. I implore you to live your life. If someone doesn’t accept who you are, don’t deal with them. Life is too short to be wasting your precious time and energy trying to please others by becoming someone you are not. God made you the way you are for a reason and if someone doesn’t resonate with who you are, you don’t need to be around them. Is this something you struggle with? What are the ways in which you deal with it?